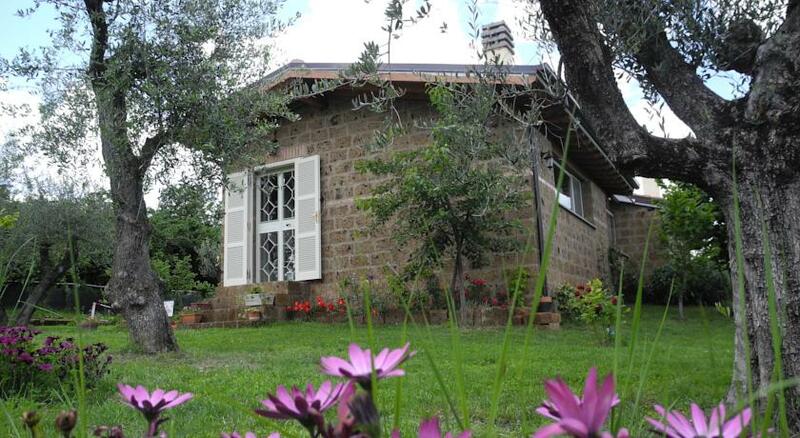 Just 5 minutes from the centre of Fabrica di Roma, an hour north of Rome and about 25 minutes drive from Lake Vico in Lazio, Italy, Farm Stay B&B Menica Marta Country House is a beautifully rustic Italian farmhouse offering a beautifully peaceful rural escape. Their air-conditioned studios have an outdoor patio area leading on to the garden, great for dining, and all come equipped with a TV, fridge and kitchenette. Though the accommodation is self-catering they offer a very good buffet breakfast every morning, in either the living room or the garden. Evening meals are available too, where you can choose from a selection of local recipes, with much of the ingredients coming fresh from the farm.